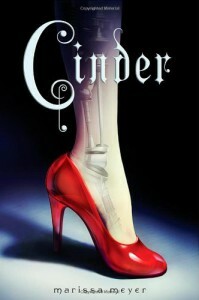 Cinder - the sci-fi retelling of Cinderella! Before picking on this book, I don't know why I procrastinated so much about reading it. I loved Cinder! I loved the whole concept of androids and cyborgs!When I first started Cinder, I expected something predictable. Something more like the classic Cinderella story. And deep down inside, I thought I wouldn't like this book because it's about cyborgs and automatons. Anything that remotely resembles a robot frightens me. Or used to. I honestly don't know how I feel about them now but all I know is that I used to completely dislike robots due to some childish fear I'd developed. And I guess that fear is fading away slowly after reading Cinder. The story is about a cyborg named Cinder. Cinder seemed so human to me. She was a very moving character whom I loved very much in this book. She isn't liked by many in this book. No one likes abnormal beings and that leaves Cinder very alone. She's independent and strong, both qualities which I admire very much.Cinder is a mechanic in this story who spends her time with an android named Iko. She has two step - sisters, one who likes her for who she is and the other one despises her for who she is. She has a cruel step - mother whom I completely hated in this book. That woman seriously needs a heart transplantation! And Kai - I don't know what to say about him. He seems very vague to me but he's a good male lead. He's strong and resilient.I'm not going to elaborate about this story. I don't think I can elaborate much without giving away too many details. But I can promise you that this is one exceptional read. It tugs at your emotions when you least expect it and it makes you so mad at the injustice done to Cinder that you would want to burn those people :D I loved this book and found it very interesting. 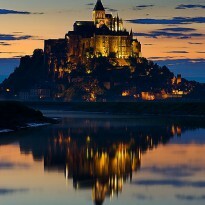 And I think this picture is beautiful!